Each year, more than five million patients are admitted to intensive care units (ICU) across the United States. Pulmonary and critical care services provide care for patients who have diseases related to lungs and breathing. And without proactive and effective management, they can quickly present some of the greatest challenges for any hospital. US Acute Care Solutions (USACS) offers BE/BC clinicians specializing in pulmonary and critical care medicine to support the critical care and pulmonary divisions at our partner hospital facilities. 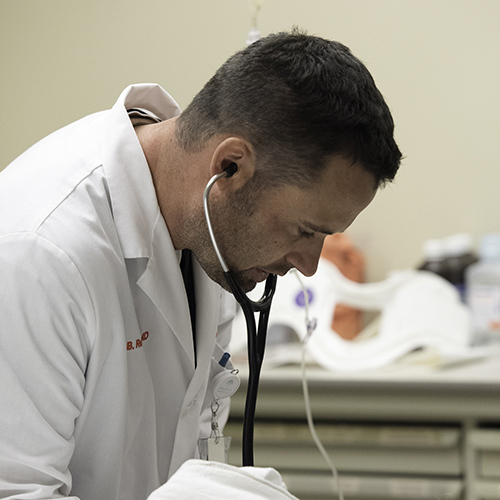 These skilled clinicians include intensivists and nurse practitioners, specializing in pulmonary and critical care medicine, who provide coverage in a number of ICUs and CCUs, while at times maintaining outpatient pulmonary practices and sleep labs. As owners, our pulmonary and critical care physicians participate as key company decision makers. We believe when physicians own the group, the result is quality service, improved patient experiences and excellence in care. Contact USACS to learn more about our pulmonary and critical care services and discuss potential partnership opportunities.